Could something as simple as breathing through your mouth while sleeping cause dental problems for you down the road? 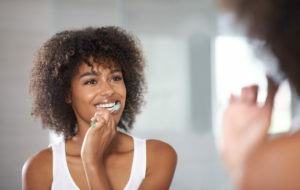 According to the results of a recent study, breathing through your mouth contributes to creating the type of environment in your oral cavity that encourages bacteria growth and tooth decay. As you read on, your dentist in Greenfield explains what causes this and how to prevent tooth decay and other oral maladies by correcting your nighttime mouth breathing. Dentist in Greenfield Discusses 3 Reasons For Tongue Trouble! Did you know that the surface of your tongue is completely unique, just like your fingerprints? Your tongue also heals faster than any other body part and has between 3,000 and 10,000 taste buds. Apparently, there’s more to your tongue than you may have realized! Comments Off on Dentist in Greenfield Discusses 3 Reasons For Tongue Trouble! The last time you visited your dentist, you got frustrated. How can you constantly brush your teeth, floss (most of the time), and still have more than one cavity in your smile? It seems like your tooth decay problem is nearly impossible to deal with. 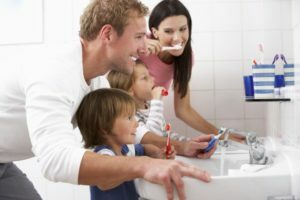 If you can’t seem to put your thumb on the reason why you keep having run-ins with decay and cavities, this blog post from your dentist in Greenfield just may be for you! 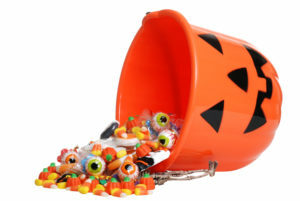 Learn more about a little-known contributor to tooth decay and cavities in this week’s blog post. Do You REALLY Need to Brush Twice a Day? Ask a Dentist in Greenfield! You’re heading to the dentist for your cleaning and checkup, and you’re crossing your fingers that you don’t’ have any cavities this time! Either way, you figure that you’ll hear the same thing as always: Brush at least twice a day for healthy teeth and gums. But isn’t one good brushing a day enough to keep things clean and prevent cavities? Where did the magical number of two come from? Was it just made up, or is there something more behind it? A dentist in Greenfield explains the reasoning behind this recommendation and also gives you some tips and tricks to make it a little easier! Comments Off on Do You REALLY Need to Brush Twice a Day? Ask a Dentist in Greenfield! Your Dentist in Greenfield Explains Why We Love X-Rays! 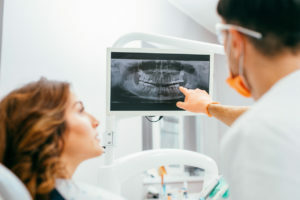 During your last appointment with your dentist in Greenfield, you were probably subject to many great dental services like through exams, professional cleanings, maybe even an oral cancer screening. Another critical part of routine dental appointments are dental x-rays—and they’re not just for cavity detection! Learn more about everything simple dental x-rays can do for you in this week’s blog post. Comments Off on Your Dentist in Greenfield Explains Why We Love X-Rays! When you look at your teeth in the mirror, what do you see? Do you focus on discoloration, gaps, or chips? If so, you probably feel insecure about your appearance. 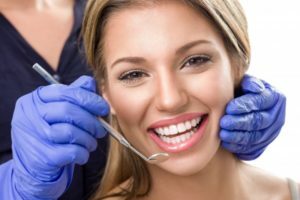 You have probably considered visiting your cosmetic dentist in Greenfield in the past, but you really do not want to undergo several procedures or a lengthy treatment. What if you could get the results you want without an invasive process? With porcelain veneers, you can drastically change how your teeth look using a minimally invasive procure. In just two weeks, you can look in the mirror and love what you see. If you are like one-third of adults, you do not like how your smile looks. The cosmetic imperfections cause you to feel insecure. As a result, you probably avoid showing your teeth as much as possible when talking, taking pictures, or smiling. Now, you do not have to live with low self-esteem from the flaws. Your cosmetic dentist in Greenfield offers the solutions you need to transform the appearance of your teeth. Using simple, yet effective procedures, you will radiate with confidence. You’ve noticed that your gums are bleeding again when you brush your teeth. This has been happening lately, and you’re wondering if you should see your family dentist in Greenfield? The answer is yes! What you’re experiencing is actually the first stages of periodontal (gum) disease. If you’re proactive about seeking treatment now, you may be able to control gum disease with less invasive procedures. Here’s more information about gum disease and how we treat it.